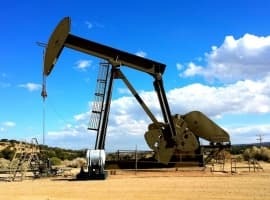 The Energy Information Administration reported an decline in crude oil inventories of 2.6 million barrels for the week to March 16, pushing up prices in concert with rising Middle Eastern tensions, worries about Venezuela’s production slide despite rising output in the United States. Stimulated by yesterday’s surprise crude stockpiles decline estimated by API, at 2.74 million barrels, WTI today traded at US$64.24 at the time of writing, with Brent crude at US$67.97 a barrel. Last week the EIA surprised markets by reporting a heavy build of 5 million barrels. In gasoline, the EIA reported a 1.7-million-barrel inventory decline, on top of the 6.3-million-barrel fall reported for the previous week. Gasoline production averaged 9.9 million barrels in the week to March 16, with refineries operating at 91.7 percent of capacity and processing 16.8 million barrels of crude daily. Meanwhile, worries about an escalation between Saudi Arabia and Iran deepened as Crown Prince Mohammed began his two-week visit to the United States with a meeting with President Trump, during which the question of the regional balance of power was likely one of the top priorities. Concerns that Trump could pull out of the Iran nuclear deal also had a positive effect on prices. 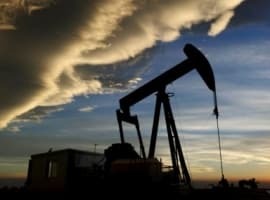 On the other hand, Reuters energy markets analyst Amanda Cooper tweeted that the physical oil market was weak, even taking into account seasonal peculiarities. In other words, markets are still being moved more by sentiment than fact. Perhaps the only fact-related influence over oil prices has to do with the likelihood of the U.S. reimposing sanctions on Iran. Reuters notes that, in addition to Crown Prince Mohammed’s visit to Washington, the appointment of Mike Pompeo as Secretary of State was seen as a strong signal in this direction since Pompeo was a staunch opponent to the original deal. Thank you, Irina for all yout great updates! They are convenient and helpful.!!!! I would be grateful, if you would include distillate inventories draw/builds in each article. Crude and gasoline numbers are great but total crude+product inventories would be even more convenient and useful. Thank you again for all the great updates! 700k bbls per day imports from Saudi Arabia. That is basically an embargo or a 911 like economic turd sandwich. Oil prices are up because they are being buoyed by fast-rising global demand for oil and a virtually re-balanced global oil market. 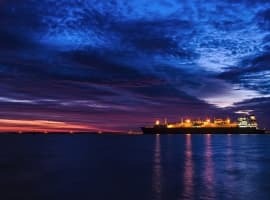 Rising tension between Iran and Saudi Arabia has hardly had any impact on the current rise in oil prices, first because it is an old ongoing tension and second because it will amount to nothing. The oil market has also become indifferent to announcements by the EIA and API about rises or build in US crude oil and gasoline inventories. Such announcements no longer impact on oi prices. Reuter’s market analyst is wrong to claim that the oil market is still being moved more by sentiment than fact. Re-imposing sanctions on Iran will neither have any effect on global oil prices nor on Iran’s oil production and exports. The facts in the market are robust oil market fundamentals and rising Chinese oil imports projected to range between 10-11 million barrels a day (mbd). Just check API weekly reports from the beginning of the year.Despite record production around 7 millions of barrels is already missing in 1Q which is traditionally the worst part of the year.Don't forget that much better season for oil is coming.Goldman Sachs is right about prediction. Markets driven by Sentiment? LOL! From a supply & demand factual point of view there is no reason for oil to be over $40 a barrel. Yet scary stories, gossip, speculation, & what ifs pushed WTI to $65. The entire oil & support industries are truly expert manipulators. Love it though. $65 WTI will keep US production soaring upward!